If you tried to stream Apple’s media event yesterday, you know how frustrating it was. Crashes, test screens, Japanese translators speaking in the background, unauthorized access warnings. It was like a cornucopia of everything that could wrong. Thankfully, by the time Apple got around to announcing its Apple Watch (or Watch, as I will refer to it for this article), the technicians had wrestled the difficulties to the ground and gotten things under control. I was able to watch the event without further interruption. So just how big a deal is this new wearable product from Apple? At this point, it’s impossible to know. Too much uncertainty remains. The final answer will have to wait till next year, when Apple reveals the full specs (including the cost of those 18K gold models) and people get their hands on the device. Still, based on what we already know, we can begin to make some educated guesses. As I watched the Watch presentation unfold, my reaction kept shifting, as if I was riding a see-saw. First, I felt the board tip downward, then I was buoyed up and ultimately I was left dangling in the middle. The big question lurking behind it all: Is the Watch worth it? My first reaction was to the physical styling of the watch — and it was one of mild disappointment. It certainly didn’t get my pulse-pounding (as the sensors on the back of the Watch would confirm, if I was wearing one). The design is a bit too boxy and bulky for my taste. I would have preferred something more like the prototype image seen here or the new Moto 360. Go into a watch store today and you’ll see that all the watches, except the cheapest ones and a few speciality items, have eschewed the “digital” look of the Watch for a more elegant analog appearance. Can the Watch successfully push back against this trend? I believe so, but I’m not sure. I understand that form follows function. And, with all the Watch can do, it probably needed to look…pretty much like it does. And that may ultimately be the deciding factor. If you want a device with the capabilities of an Watch, you may have to make a sacrifice in style to get it. On the other hand, I thought the wide variety of Watch straps, and the ability to easily swap one for another, was a brilliant stroke. It offers the customization and variety that I know people will want from a device that is visible on their wrist all day. It even allows a person to shift from a casual to an elegant strap, for example, depending upon their mood and destination. And the precision way the straps work and attach to the watch is…pure Apple. I found myself smiling as I watched the demonstration video. When attention shifted to the digital crown, I felt my mood shift downward a bit. I’m going to have to turn a wheel to scroll through a list? This seemed like a step backward to the days of the iPod click-wheels. I also worry whether my aging stubby fingers can successfully manipulate such a tiny tool. Still, as with watch’s overall square shape, I understood that something like the crown was required. As Apple pointed out, the watch display is too small for access to be entirely via touch. But understanding a feature’s necessity is not the same as liking it. Moving from style to features, my virtual see-saw veered sharply upward. Assuming it works as demonstrated, the watch’s fitness monitoring features promise to surpass anything else on the market. I can certainly see myself using the Move, Exercise and Stand rings to assist in becoming more active. A definite big plus here. What I am most looking forward to trying out are the watch’s notification and messaging features. I was especially impressed with the walkie-talkie-like Digital Touch for sending custom doodles and such. I can see all of this transforming the way we do casual communication. The list just keeps growing from there. The Watch works with the new Pay. It will help find where you parked your car. It will unlock the door to your hotel room. It will track your flight status. And, with third-parties apps still to come, the Watch will be able to handle a countless assortment of other tasks. Eventually, you may find it hard to do without one. At least that’s Apple’s hope and plan. And I can see it becoming reality. But it was at this point that I felt the see-saw start to drop again — as unanswered questions began to mount. There are speakers and microphones built into the Watch. Will these be sufficient for even a brief phone conversation? Will it be practical or enjoyable to listen to music from the watch’s tiny speakers? Why even bother to try, when you have an iPhone in your pocket? Will the light from the watch’s display be a distraction in darkened environments, such as a theater? Will we need an “airplane mode” for the watch? And these lead to the biggest questions of all: Will the Watch add enough convenience, beyond what you already have with an iPhone, to justify its purchase? In other words, is the Watch worth it? The  Watch “requires” an iPhone to work. It’s still not clear to me exactly what this means. I assume that some watch features, such as displaying the time, will function even without an iPhone nearby. On the other hand, it seems certain that you’ll need an iPhone for text messaging and phone-calls. The GPS and Wi-Fi from the iPhone will be needed for tracking your activity. I assume there are many more ways the Watch and the iPhone are linked. In the end, it strikes me that the Watch is more of an iPhone accessory than an independent product. Will the advantages of the Watch be enough to make it worth owning yet another device that you need to charge every day, sync with your other devices, maintain with current software, and so on. 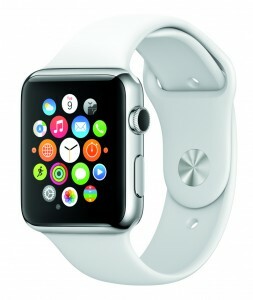 Will you want to add the Watch to the list of devices that you regularly upgrade? Do I really need a watch to show me a reminder or a map or the weather or whatever else the Watch can do that the iPhone also does? After plunking down hundreds of dollars for an iPhone, will I want to spend an additional minimum of $350 for a watch that, in some sense, offers very little beyond what my iPhone already does? Maybe. After all, I continued to wear a watch even after I bought an iPhone. So why not an Watch? In the end, there’s need and there’s want. I won’t need an Watch. But I may want one anyway. For now, I don’t know if I will even want one. I’m in the “wait and see” period — and I expect to remain there for quite some time. The Watch is not a device I intend to pre-order or rush to buy on the day it’s released. Rather, I will monitor events to see what early adopters report and decide from there. I’m guessing that many others are in the same boat. Which way we go will likely determine the success of the Watch. This entry was posted in Apple Inc, Technology. Bookmark the permalink. I think Apple’s plan is to corral profits from the high-end, and let the mass-market trackers (Fitbit, Garmin, Jawbone) fight each other at the $100 price-point. After early adopters buy the Watch in its various incarnations apple can come out with v.2 (with S2 processor) and then migrate down to the mass market, along the lines of the iPod->Mini/Nano->Shuffle and iPad->mini. If Apple were to try to come out with a less expensive line alongside the do-everything model they’d not only risk stretching thin their internal devs, but they’d leave money on the table by selling trackers to people who might have bought Watches. Just as the original iPod and iPhone now look a bit dated and primitive, I strongly suspect that the 1st gen of the Watch will as well. It seems a bit bulky today (one fashion site [which gave it a positive review] sniffed that it doesn’t easily fit under a shirtsleeve cuff) and I think it will seem ridiculously so in a couple of years. Who the heck is going to run a mile in a gold watch, or go to the gym. Those with the money (and inclination) would buy it for show and not need a lot of the stuff it can do. My exercise is in the water & swimming, can’t even use it.